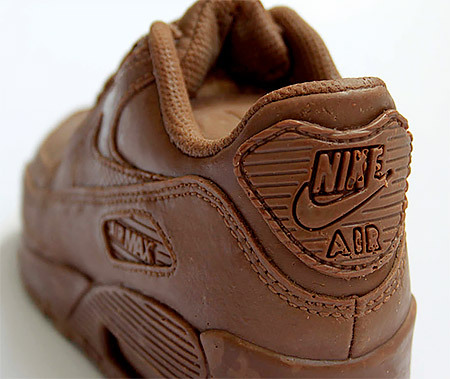 Edible version of Nike Air Max 90 sneaker made out of delicious chocolate. 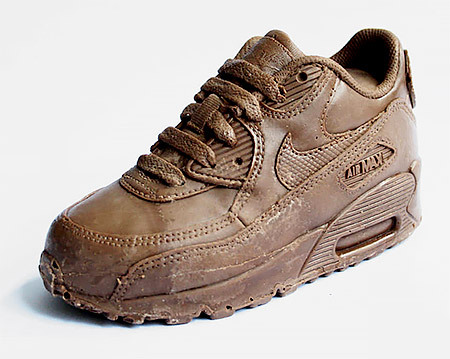 Limited edition chocolate sneaker created by Milan Miladinov for the 25th anniversary of Nike Air Max 90. 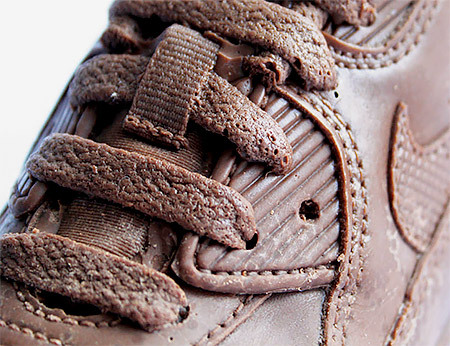 Detailed replica looks like a real shoe. This is an interesting juxtaposition of using a high fat product to depict something used to burn calories. Hmmmm…. I do love chocolate! wow this is really cool! 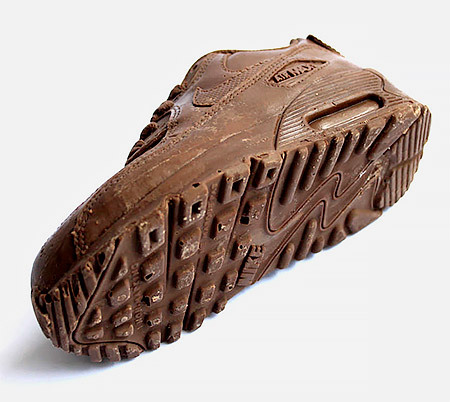 perfect for the chocolate lover who is into running.